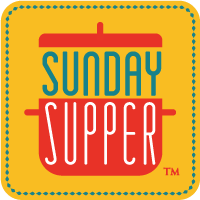 April 22nd is Earth Day and April 23rd is National Picnic Day so, today, the #SundaySupper crew is sharing recipes to enjoy while picnicking in the great outdoors. T.R. of Gluten Free Crumbly is hosting. What a timely theme! We have a lot of picnic dinners during the Spring and Summer. I wanted to share a rich chocolate treat that is so rich that you just need a tiny piece. Small servings means less to carry in your picnic basket! Preheat the oven to 350°F. Line a 9-inch round (or square) baking pan with parchment paper - with about 2" of paper overhang. Butter the pan and paper. Set aside. Finely chop the cooked bacon and mix with the pecans. Note: you can toast the nuts if you like; I used them raw. Set aside. In a medium saucepan, combine chocolate and cocoa powder with the butter and stir over very low heat, until melted.Transfer to a large bowl. Using a handheld mixer, beat in both sugars and the whiskey. Add the eggs and salt and beat until smooth. Sift the cocoa and flour into the bowl and beat until blended. Scrape the batter into the prepared pan. Sprinkle the bacon and pecans over the top. Bake until the brownies are set around the edges by still slightly gooey in the center, approximately 50 minutes. Transfer the pan to a wire rack and let the brownies cool completely. Lift the brownies out of the pan using the parchment paper. Cut into wedges or squares and serve. Oh, man! I'm not a big sweet eater but dark chocolate with bacon and whiskey? I'm all in! 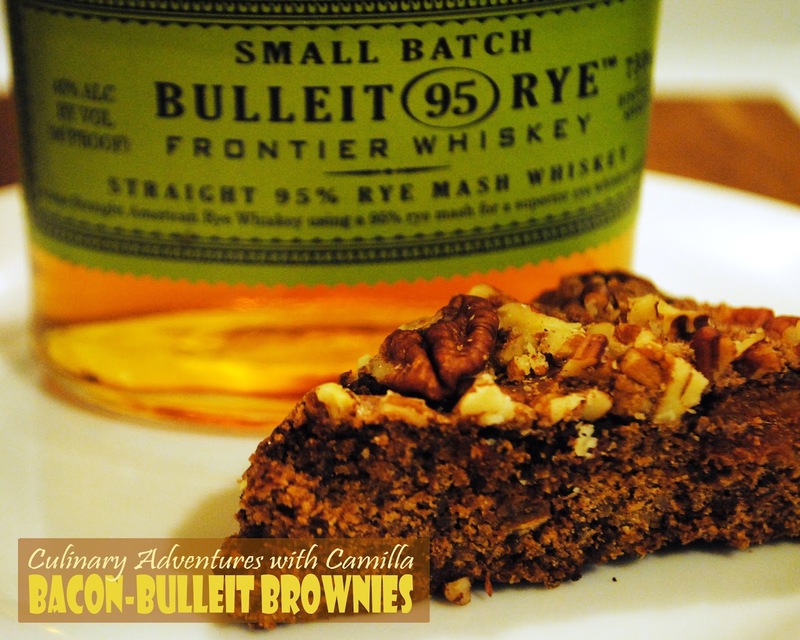 I've yet to try bacon in sweet recipes, but love the whiskey addition! Sounds wonderful Camilla! Wow, bacon and whiskey with chocolate, bring it on!! I need to try this soon! What multifaceted brownies! Sure to please chocolate lovers at any gathering! Bacon, whiskey, and chocolate? These sound fabulous! Oooh. Now this sounds like a power brownie! Amazing combo! Chocolate and Bacon oh my! What a combo! How to make brownies better? Add bacon and whiskey....yeah!!! Perfect for the grownups at a backyard party! Bacon & chocolate, can't go wrong! Bacon and Whiskey go great together... and chocolate?! You're welcome to my picnic anytime!